Body Balance is formulated with SeaNine™, our proprietary blend of nine nutrient-rich Sea Vegetables, Aloe vera, and over 120 plant-based nutrients, including vitamins, minerals, enzymes, fatty acids and amino acids. Life Force International is regularly inspected (by surprise visits) from the FDA for compliance and adherence to government regulations about product ingredients, purity and reporting. The company has received the Good Manufacturing Practices (GMP) certification, which is a 3rd party designation. Less than 5% of all manufacturing companies (supplement and others) in the US achieve this certification, which indicates that you are producing a product under the most stringent guidelines. Body Balance is a liquid whole-food supplement with 121 naturally occurring vital nutrients, including naturally occurring trace quantities of virtually every vitamin, mineral, ultra trace mineral, amino acid, and enzyme useful for optimal health. 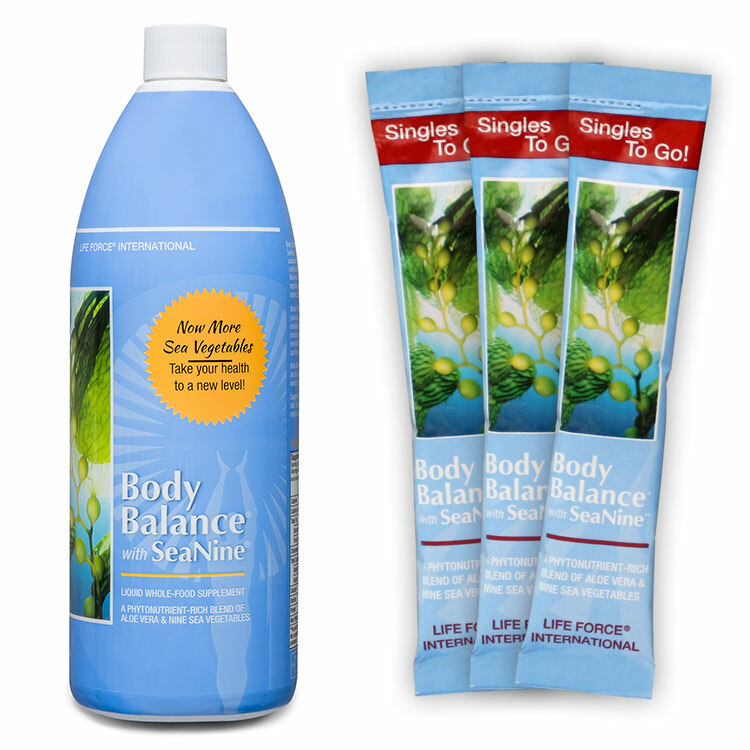 The aloe vera in Body Balance is inner-leaf, cold-processed. 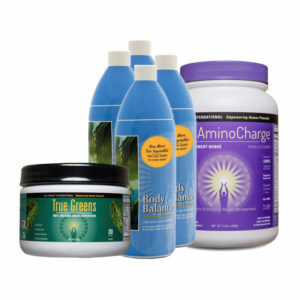 It nourishes your body on a cellular level to promote overall health and wellness. Body Balance gently detoxifies the body while replacing your cells with rare earth minerals that are crucial to balancing our bodies chemistry. 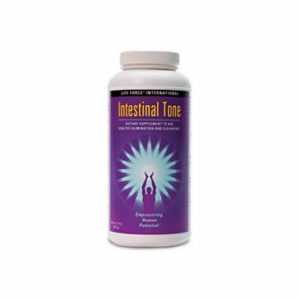 This liquid supplement has up to a 98% absorption rate. 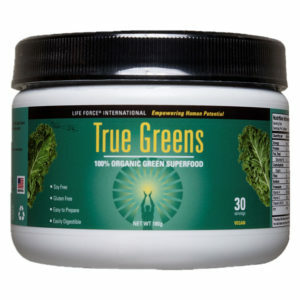 Contains naturally occurring organic factors (phytonutrients) that can contribute immensely to human vitality and wellness. Some health-supporting benefits of aloe include enhancing digestion and supporting immune system function. The organically grown aloe vera and proprietary blend of nine sea vegetables in Body Balance provide all the essential nutrients in a plant-based form for maximum absorption. 121 nutrients in Body Balance provide a full spectrum of plant-based vitamins and minerals. Because this product is derived from natural sources, the exact amount of each ingredient per ounce may vary. Together the vitamins, minerals, fatty acids, enzymes, and amino acids work synergistically to closely replicate what is needed for optimal health. Product batches are routinely analyzed for microbial and contaminant content. The products are also analyzed for nutritional content on a routine basis. This information is considered proprietary information and is not released to the public or any distributor.